2018. December 18 - 2019. March 16. French artists at the end of the 19th and the beginning of the 20th century played a pivotal role in creating the modern art of coins in Europe. Many representatives of the “budding” Hungarian numismatic art were disciples of French coin artists, others worked in Paris for lengthy periods. When they returned, they established what we now call the modern Hungarian art of coins. 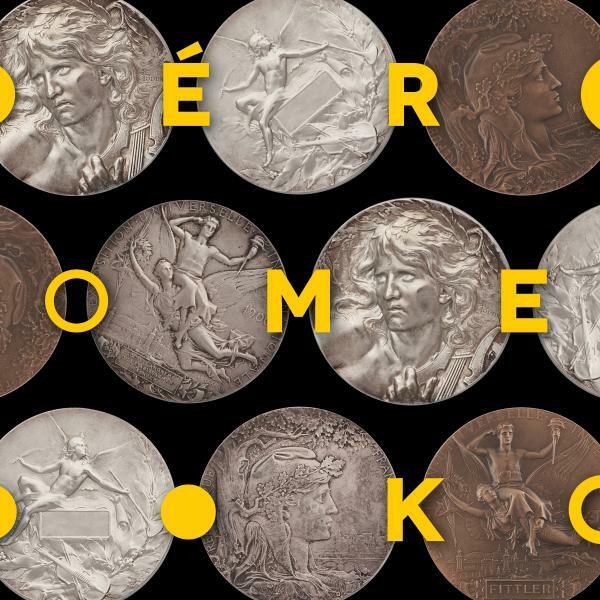 Members of the Hungarian Numismatic Association (ÉKE) include collectors with significant French coin collections, primarily from the secession period. We have wanted to display the most beautiful pieces of French numismatics to our visitors for many years. The last exhibition of numerous “classical” French artists and their coins was held in Hungary in 1924. This was the year the Hungarian Numismatics Collectors Society organised its grandiose exhibition entitled “Coin and plaquette exhibition of collectors and artists from Budapest” at the Hungarian Museum of Applied Arts. This stately exhibition showcased the development of the art of coins in Europe from Greco- Roman coins through Renaissance pieces to modern coins and plaquettes. The exhibition included works of Hungarian artists who were already deemed significant by international standards at that time. The current exhibition features 270 French coins and plaquettes from the mid-19th century until the 1940s. The astronomy-themed French coin collection owned by one of our partner collectors is a unique selection of its kind, and is displayed in a separate cabinet. Thematic groupings were characteristic even at the 1924 exhibition, where medical or papal coins were showcased separately. French coin artists are joined by Hungarian artists whose oeuvre demonstrates the effect of French coin art or who learnt from the most renowned French coin artists of the era. Such artists include Ö. Fülöp Beck, who became a dominant representative of modern Hungarian numismatic art as a former student of Hubert Ponscarme, or Antal Szirmai, who lived and worked in France as Tony Szirmai for many years from 1892 onwards. The artworks on display were selected from ÉKE members’ private collections with additional items on loan from the Hungarian Numismatic Society and the Museum of Applied Arts.